GoXtra News: BREAKING NEWS: Pitch Black Afro Is Making A Steady Comeback! BREAKING NEWS: Pitch Black Afro Is Making A Steady Comeback! "The one whose career they buried alive, the nemesis they'd rather keep in the grave, is performing live for millions of people throughout Africa." Ace Ncobo. THE Dirty Grass has been cut - Pitch Black Afro, real name Thulani Ngcobo (37) is making a steady come back. The "broke" musician has been in studio cooking up his new album, under his new boss, the former Premier Soccer League (PSL) Referee, Ace Ncobo. Ncobo too to his Facebook page during the early house of the morning: Tonight, the one they thought was dead and buried, the one whose career they buried alive, the nemesis they'd rather keep in the grave, is performing live for millions of people throughout Africa. Watch Thursday Night Live with Marawa and let the new Pitch Black Afro mesmerize you. The Afro in that name is not about the hair, it's short form for 'African'. Cometh the time, cometh the man! Album available after 26 Oct! During the week Ncobo also announced that he's happy that all the relevant copyright control bodies have issued clearance licences for Pitch Black Afro's album to be published by Hotline Media (owned by Ace Ncobo). "That is in recognition of my company being the sole owner of the copyright as registered with Samro and Norm, amounting to a legal statement of ownership. Now, let's see what the thief and his team will say about him being ''robbed'' of his property," updated Ncobo. Earlier this year the City Press reported that the Styling Gel hit-maker was homeless. The paper also reported that the musician who rocked the music industry with his platinum-selling album Styling Gel, is hoping from one place to another in the seedy suburb of Berea in Johannesburg. 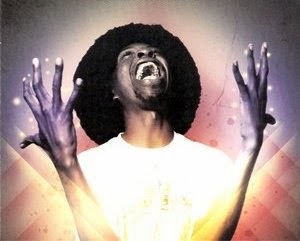 Pitch Black Afro became a favourite on the club scene often playing with 'The Native Huts Allstars' and was eventually discovered by DJ Cleo during a stint doing "Rap Activity Jams" on YFM radio. His first album was produced by Cleo and released in 2005, selling 50,000 copies in South Africa. This made 'Styling Gel' the biggest ever selling African Hip Hop album (at the time). He followed this with "Split Enz" in 2006. In 2006, Pitch Black Afro was accused of assaulting a fan and causing damage to property in a Johannesburg mall. Pitch Black Afro's new album will be available in stores after the 26 of October! GoXtra News would like to wish Pitch Black Afro a HAPPY and SUCCESSFUL career going forward! Catch Thursday Night Live with Marawa. The show is on SuperSport 4 and SuperSport HD every Thursday at 20:30.